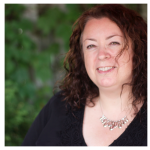 This is part of a three-part series taking on the big three featuring our top tips on how to save on each. 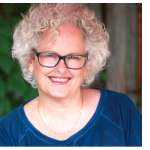 There are no suggestions for chain fast-food joints (yuck for your body) or making a food plan so strict that you can't be spontaneous (what fun is that?). 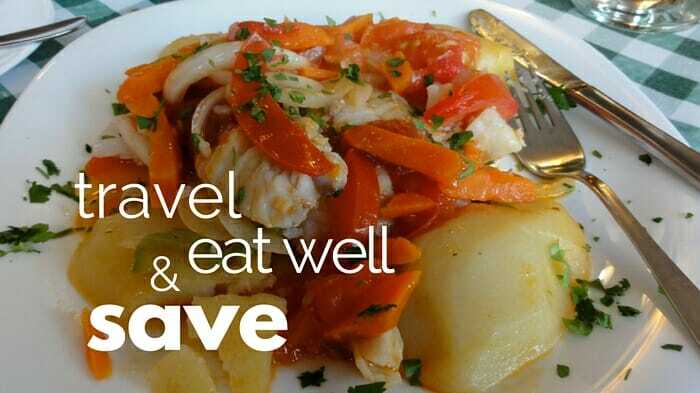 These are realistic, practical tips to help you eat well and save on food as you travel. 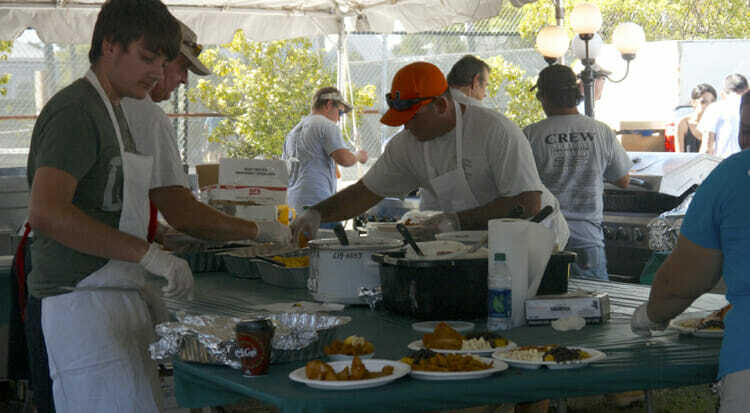 Volunteers dishing up the seafood sampler at the Florida Keys Seafood Festival. Know before you go. Know what your food budget is before you leave. Set an overall food budget for the trip. Splurge some days and save on others. Choose accommodation that will lower your food expense. You don't need a kitchen to save on your food costs though it does help. But choosing accommodation with a mini-fridge is enough to keep all you need for simple breakfasts and those salad/sandwich meals of the day. Note: if you take the hotel treats out of the mini-fridge to store your things, make sure you return them. These are costly items. Check your hotel bill carefully in case your mini-fridge was monitored electronically and you are charged for all the things you moved. If this happens you can ask for a physical count of the fridge and have your bill adjusted. Eat your main meal at lunch. Lunch menus are always less expensive than dinner menus. Whether you're going to that restaurant you've read about and always wanted to experience or simply having a basic meal, eat your main meal at lunch. Save the soup, salad or sandwich menu for dinner. Enjoy food trucks. With a lower overhead, food trucks can give you all the quality of a restaurant at a lower price. When I was in Kauai earlier this month I certainly found the food trucks to be a more affordable food option than restaurants. And since they are where many locals go to eat, if they're not great they won't last. Food trucks generally offer good value for the money. You can always google for the best food trucks in your destination. Watch for the date on whatever food articles you read to make sure they are relatively recent. Eat street food. From hot dogs in Toronto to pho bo in Saigon, street food has its place in every traveler's experience of a destination. It's fast, cheap and sometimes healthy – though more so in Asia than the west. Are you a bit nervous about street food? Read 5 Tips for Eating Street food in Vietnam or The Ultimate Guide to European Street Food. 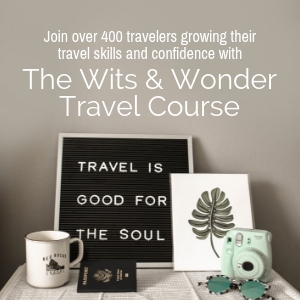 If you really want to learn how to “eat safely in developing countries, source cheap but delicious streetside meals and discover how to make food a tool for understanding a new place and connecting to its local culture” read The Food Traveler's Handbook. Stay hydrated on the cheap. Bring your water bottle along on your travels and fill it every day to avoid the high cost of bottled water and the environmental damage they cause. If you're not sure of the water, use a purification system. 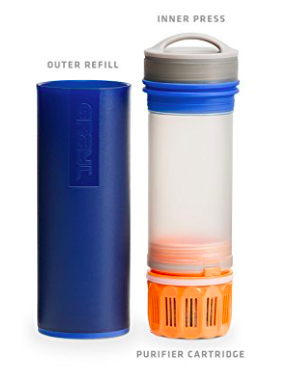 The best I've found is the GRAYL Ultralight Water Purifier. It deals with deals with viruses, bacteria, protozoa, chemicals and heavy metals. All the reviews I read were great. GRAYL Ultralight Water Purifier deals with viruses, bacteria, protozoa, chemicals and heavy metals in a plunging system that's like a French press. Available on Amazon. Take advantage of meal deals and discounts. Groupon is a great source of meal deals. 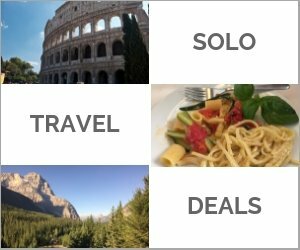 Google “Groupon ‘your destination' restaurants” and you'll find deals specific to where you're going. Only buy deals from reputable sites. 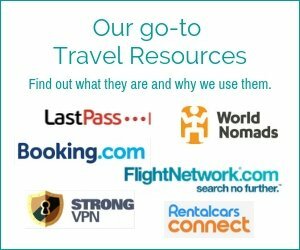 Doing research for this post I found a site called restaurant.com. The deals seemed too good to be true so I looked for a review of the site. Sitejapper had 392 reviews of it and 292 of them gave the site only one star. Get the Time-Out Deals. Time Out Magazine is all about inspiring people to enjoy the best of a city. They have individual publications for cities around the word. 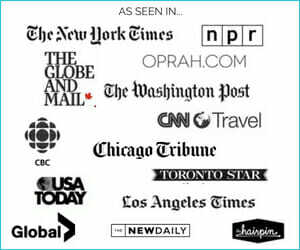 Find the Time Out publication for your destination here. Then go to their general restaurant page and scroll to the bottom for their deals. Take in food festivals. In Toronto there's Winterlicious and Summerlicious. During these two-week festivals restaurants put on special menus so that you can taste their fare at discounted prices. 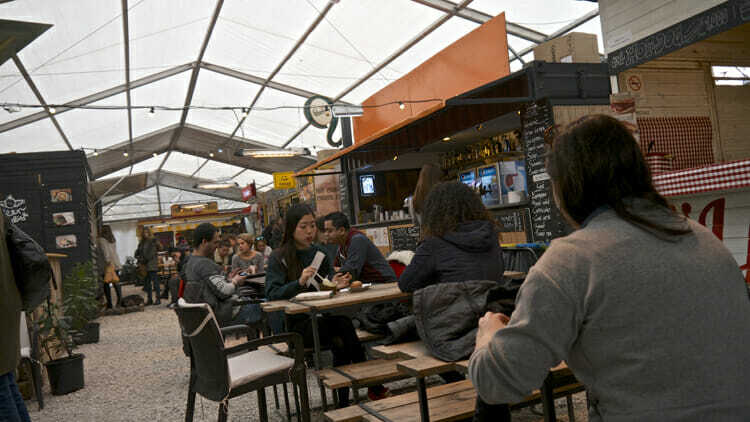 Most cities have food festivals to allow you to enjoy local specialties. Google your destination and “food festival” to find out what you may enjoy as you travel. Make the most of that free breakfast. If your hotel includes a free breakfast, don't binge there and don't grab more than is appropriate. That said, there's nothing wrong with taking that packaged cheese, apple or banana for the road to reduce your cost of snacks during the day. Get takeout from a high-end grocery store. Cheese, a baguette and a bottle of wine in France is a perfect meal now and then. In North America, Whole Foods is a source of great, prepared foods. I love their take-out pizza which comes in at under $5. In Hawaii I ate very well quite often at the Safeway. I particularly loved their kale salad and salmon steaks. Avoid the snack foods and concentrate on healthy options. As at home, shop on the stores outside edges where food basics like fruits, vegetables, dairy, bread and meat are typically located. The inner aisles are where the high sugar, salt and fatty products are typically located. Have a picnic. Pick up your food from any of the above places and have a picnic in the park. Take out is usually less expensive than eating in. Consider a buffet. These are common in the United States and offer a lot of volume for the buck. It's easy to overeat at a buffet but it also saves on snacking later in the day. Watch for early bird specials. This would not suit me on a regular basis but on occasion a late breakfast and an early dinner at a discount makes a lot of sense. The Olive Garden offers such a deal Monday to Thursday from 3-5pm for $13.99. Add breakfast and you food that day could come in under $20. I'd have an extra $30 in my budget to go to a really nice restaurant on another day. Get that discount. Use your membership cards to get discounts. AAA has restaurant deals that run at 10% to 15%. CAA has the same. Look in your wallet for your membership cards and see what you may have the can offer you some savings. Karavan in Budapest is a lane of food trucks created on an empty lot.